Old school blues musician T-Model Ford is about to drop an album with some new school friends from Seattle, the duo GravelRoad. Turning 90 this year (though no one’s sure of his exact birth date), Mississippi-born T-Model Ford shows no signs of slowing down. With a national album dropping on January 12 and a national tour kicking off in February, he still rocks harder than musicians half his age. And though his new CD features young musicians from Seattle-based GravelRoad and Kansas-based Moreland & Arbuckle, it’s T-Model’s acoustic(!) guitar playing and gravelly singing that shines through. Not to mention his choice of eerie blues songs. 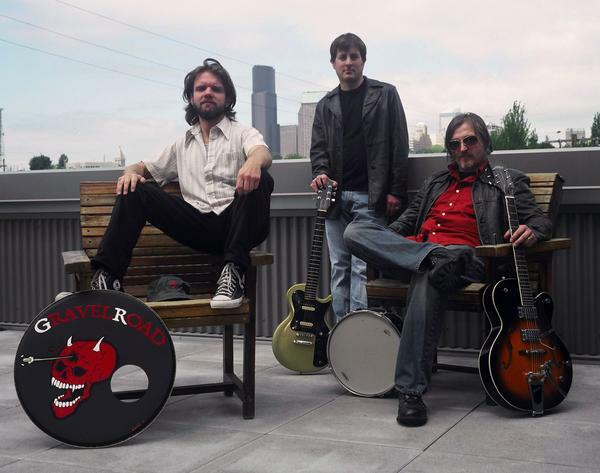 The Northwest is home to a growing movement of new blues bands. Inspired by the hypnotic sounds of blues singers like Mississippi Fred McDowell and R.L. Burnside, these bands mix deep blues with raunchy punk to create the new sound of “Dark Blues.” Portland band Hillstomp brought this music to the Northwest Folklife Festival a few years back, and bands like Portland’s Cicada Omega, Eugene’s Sidestreet Reny, and Seattle’s GravelRoad all draw inspiration from the darker corners of country blues. So check your local record stores for T-Model Ford’s new album “The Ladies Man.” And listen to a sample below of the song “Two Trains” from the CD.